Priced below KBB Fair Purchase Price! Alloy Wheels *, Backup Camera *, Bluetooth*, Moonroof*, Navigation System*, Power Mirror Package*, Memory Package*, Leather Seats*, Power Package*, Heated Package*, 6-Speed Automatic ECT-i, Navigation System. Hambelton LaGreca Super Center WWW.hamlag.com. 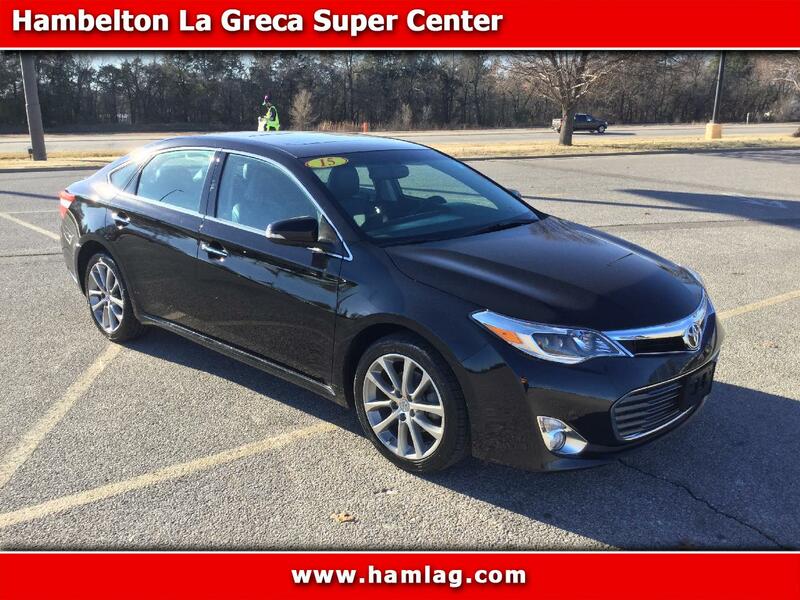 Black 2015 Toyota Avalon XLE Touring 4D Sedan 3.5L V6 DOHC Dual VVT-i 24V FWD 6-Speed Automatic ECT-i Odometer is 14553 miles below market average! Excellent Financing Available!